The Canadian Dairy XPO is the largest industry event of its kind in Canada. 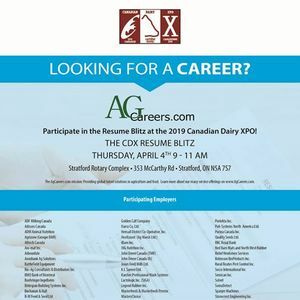 Over 75 exhibitors will be on hand recruiting for a variety of positions in the food and agriculture business. Stop by and speak with company representatives who are actively recruiting and will be on hand to accept resumes for a variety of positions. 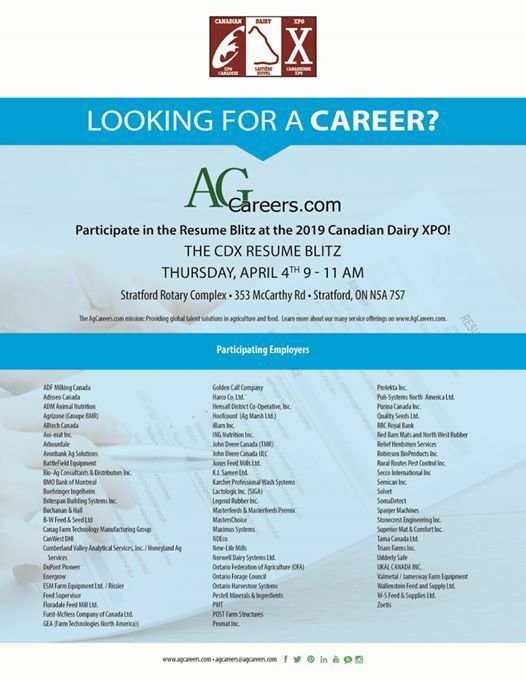 For more information and to learn more about career opportunities in the agrifood industry, please visit AgCareerers.com.